The warm weather that we experienced over the weekend on the Gulf Coast has me dreaming of spring. As I was scrolling through the new arrivals on Shopbop, I saw this T by Alexander Wang boatneck dress. I had a similar dress in olive green a couple of summers ago and it was one of my favorite pieces. It is also available in grey and black if the white makes you nervous! 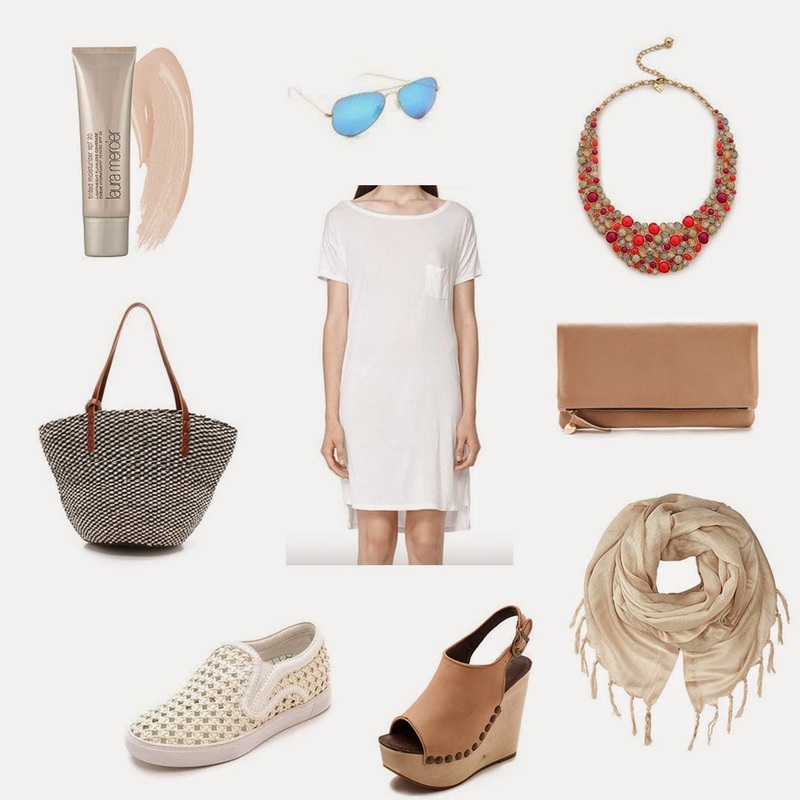 I paired it with a straw bag and slip on sneakers for day and a bib necklace, clutch and wedges for night. This dress is so simple and versatile. It is the perfect casual beach dress for day or night. Did I mention that it is only $89?